Host an House of Code ? Interested to host your own Hour of Code ? 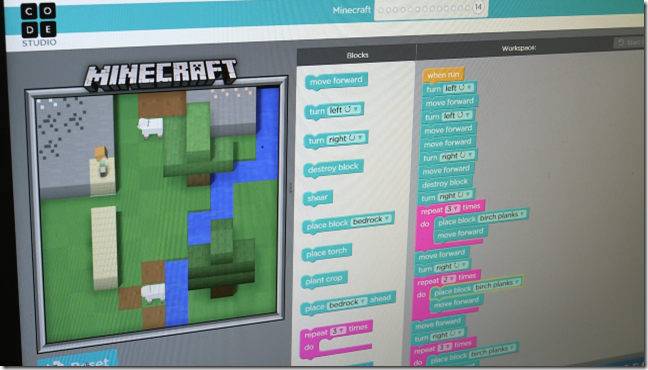 First, sign up your school or classroom to run an hour of code here. In order to provide you with everything you need to lead your own Hour of Code with the Minecraft Tutorial, we have prepared an Hour of Code Microsoft Event Toolkit and Readiness Center. In it you will be able to download a facilitator guide, quick tip sheet, PowerPoint slides, and brief orientation video. Register and download your Toolkit today, and get ready to lead your own Hour of Code.